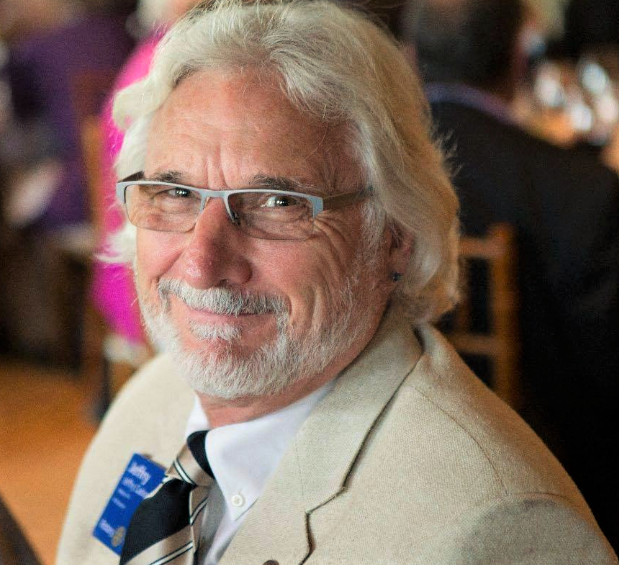 Join RI Director Jeffry Cadorette for lunch at the Rotary Club of Vancouver. Kenya is in the process of changing its educational curriculum to emphasize 21st Century Learning Skills such as critical thinking, creativity, collaboration, communication (4 C’s) and digital literacy. BC Rotary clubs have stepped in to share knowledge through a team of educators it sent there for two weeks in Spring Break. Building on the work of a previous Rotary District 5040 Foundation Grant, which provided computer labs to two schools in the Kitui region, south east of Nairobi, Kenyan teachers in the region reached out for support in implementing these new teaching methods, to help train teachers to teach with technology and implement 21Century Learning Skills in the classrooms of Wamunyu and the Kyaithani Cluster. Still time to register for District Conference 2019! As a little girl, DG Darcy pleaded with her Mom and Dad to let her stay up late for the Ed Sullivan Show to watch her childhood idol - Topo Gigio! 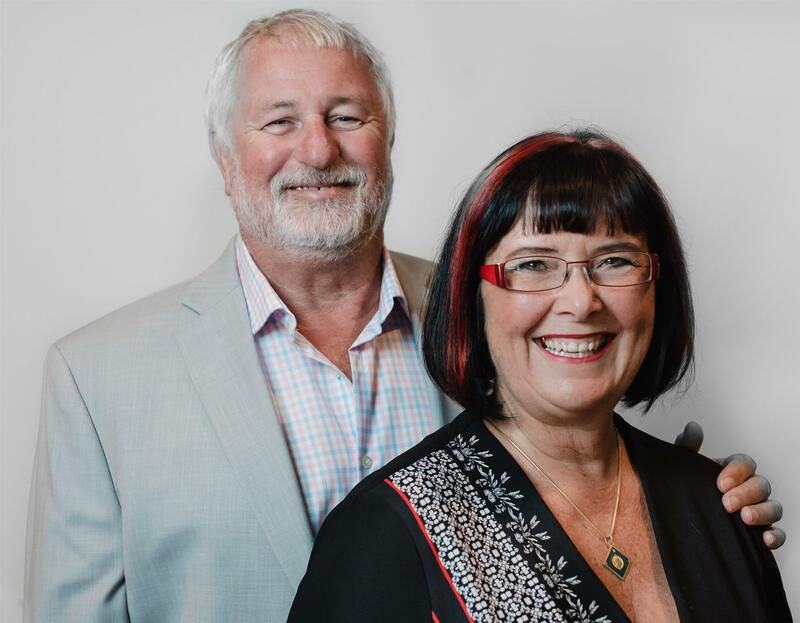 Imagine her excitement when Topo invited her onto his "really big shew" to discuss Dictrict Conference 2019! Rotaract District Installation Dinner - May 10th - TICKETS AVAILABLE NOW! YOU ARE INVITED...to the Rotaract event of the year! Feast on a full dinner, meet new Rotaractors, and connect with Rotarians. District Rotaract Representives (DDR's) and new District Committee. You'll also get a glimpse at past, present and future club projects. Dancing? Of course there'll be a dance party!!! You won't want to miss this evening of dinner, dancing and fun! Need a ride to or from a nearby Skytrain station? Let us know as pick up locations can be arranged. You’ve started using social media for your Rotary Club and it’s off to a good start, but like many Rotary Clubs, you’re not maximizing the potential of these social platforms. Whether it’s improving your content or making use of a feature you haven’t tried before, digital marketing specialists Thomas Miller and Erika Rodriguez will show you how your club can make the most of its social media outreach. Webinar presented by two Rotaractors on behalf of the Rotary District 5040 Public Image and Public Relations Committee and the Learning and Development Committee. 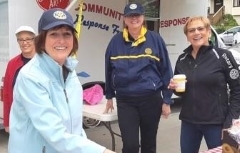 Needy communities in northern Chile will be receiving medical and dental equipment and supplies in the next month or so thanks to Rotary World Help in British Columbia. Rotary members contribute their skills, expertise, and resources to help solve some of the world’s toughest problems. From providing clean water to promoting peace worldwide, Rotary Foundation grants bring service project ideas to life, including those we lead in our own communities. 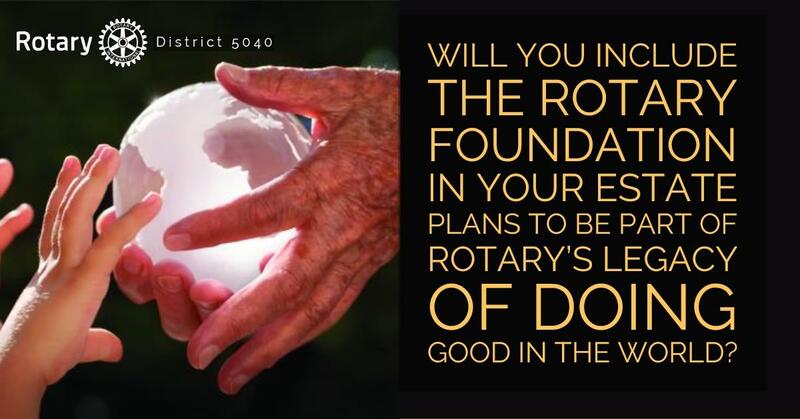 To learn more about The Rotary Foundation, which enables much of what we do in Rotary, members of our clubs in District 5040 are encouraged to attend “The Rotary Foundation – putting it to work for you” (formerly known as Grant Management Seminar). Club leaders and members attending Our Year Ahead 2019-20 will be so much better prepared to serve in their assigned roles for the coming year as leaders of the club or service projects. Participants from the same region share their experience and learn from themselves as well as District leaders about club administration, leadership and the bigger picture of Rotary. Rotary members have played a key role in bringing the world to the brink of polio eradication. Our members have not only helped end polio in 122 countries but also created a system for addressing many other health priorities, like Ebola. Rotary clubs lead efforts to fight diseases like malaria, HIV/AIDS, Alzheimer’s disease, multiple sclerosis, and diabetes. Clubs also focus on disease prevention by providing health education and bringing routine hearing, vision, and dental care to those in need. In December, Rotary’s Disease Prevention and Treatment Month, take action to fight disease in your community. Here are six ways to do that. 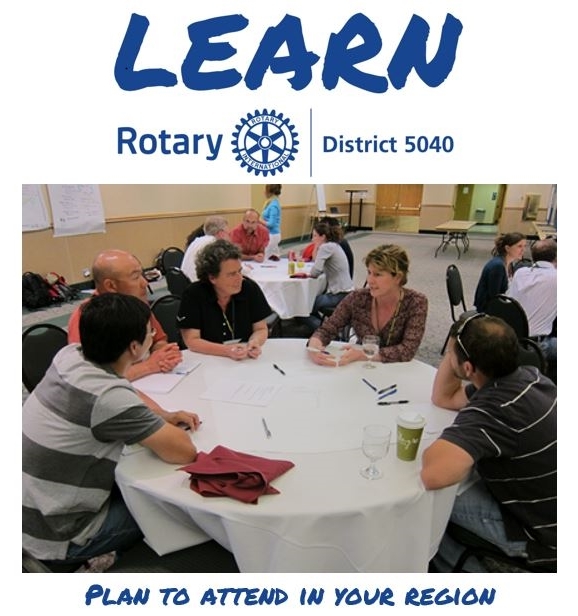 New members have joined Rotary District 5040. Let's make that number larger!